Tagged under Hisayuki Hirokazu, Series. Arika Yumemiya has traveled far in search of her goal: the prestigious Garderobe Academy. At this school, young girls are trained to become Otomes, protectors of royal leaders throughout the lands. While attending Arika makes plenty of friends, but some enemies know something about her past that she does not. Nevertheless, her spirit and determination will keep pushing her forward. --- Adapted from it's predecessor, Mai-HiME, this series is not a direct sequel, but an alternate universe setting featuring some of the Mai-HiME cast (though with different personalities). Mai Otome's general presentation is good, although not excellent. The plot is well done and is creative, but some developements are not made. Also, the producers use characters from Mai Hime, which causes continuous comparisons and references to the two series, making the two never complete on its own. Otome would never have made sense without the former series, Hime, which makes it look too much of something like an OVA or a sequel. Overall, however, I felt that Otome was better on terms of switching between different genres throughout the series. It was quick to come back when it went into dramatic and angsty mode, and continued to try to maintain a balance between the comedic and the more serious tones. Awesome follow-up to Mai HiME and I'm glad that one of my favorite characters Akane has more of a role in this series than she had in My-HiME. The relationship between Nina and Sergei and also what is shared between Arika and Sergei is not to my liking, as well as the 0: S.ifr prequel OVA it wasn't that interesting. A prequel OVA centered on Mai Tokiha would've been amazing though. 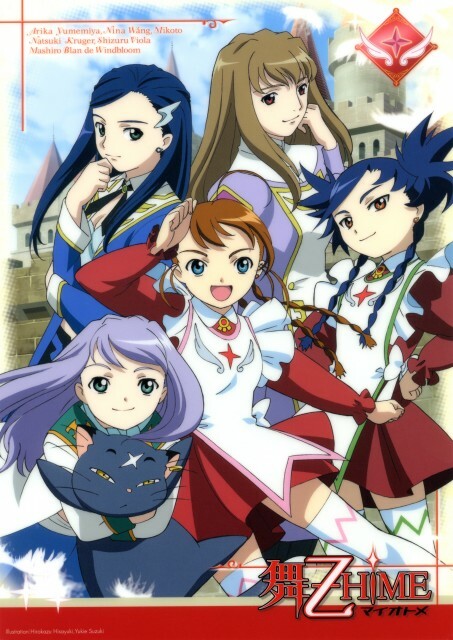 Watched this because I adored My HiME and I don't think it was necessarily as good in terms of the next batch of characters and some of the changes in characters brought over from My HiME, most of the time the personalities of the new ones became quite grating. However, the storyline was actually quite impressive and well thought out- occasionally there were a few things said/done that weren't either explained at all or just... odd! However I still loved it all the same and still re-watch it, can't help but be a bit of a Natsuki/Shizuru fangirl considering how awesome they both were in My HiME and My Otome.